Quality by Design (QbD) is a method approach to developing a quality control system using predetermined objectives. It uses the foundations of risk management and science to ensure a repeatable process to manufacture high-quality products. In 2002, the FDA launched QbD as part of its innovation initiative. This paper outlines resources for increasing productivity, decreasing cost and implementing a quantifiable, conclusive and cost-effective monitoring strategy. In the 21st century, it is no longer possible to release products or monitor processes (especially aseptically-filled sterile products) using microbiological methodologies and techniques developed in the 20th century. The use of outdated microbiological analytical methods allows the detection of a third of the microorganisms present in the product/process. Therefore, it is not possible to completely identify areas of contamination in the production process. Strategies and implementation of more sensitive and/or more reliable microbiological analytical methodologies that allow the identification of potential production process problems and their resolution should be a priority. 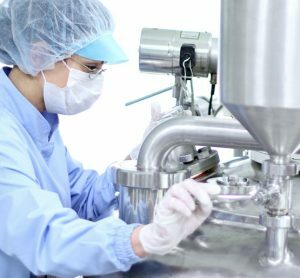 Critical pharmaceutical processes, both non-sterile (aerosol) and sterile (injectables), must be monitored in order to ensure quality of the final product. 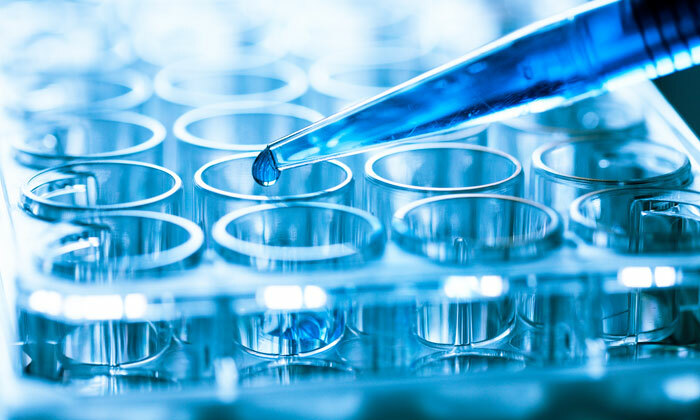 Environmental monitoring systems are an important part of aseptic processing, and an essential component of controlling the presence, distribution, and survival of microorganisms. Examples of critical non-sterile products include aerosol, nasal spray and powder inhalers. Improved detection results in the improvement of microbiological quality. However, this increase in microbiological quality and sensitivity must coincide proportionately with production costs. To ensure reasonable cost, realistic goals must be set. 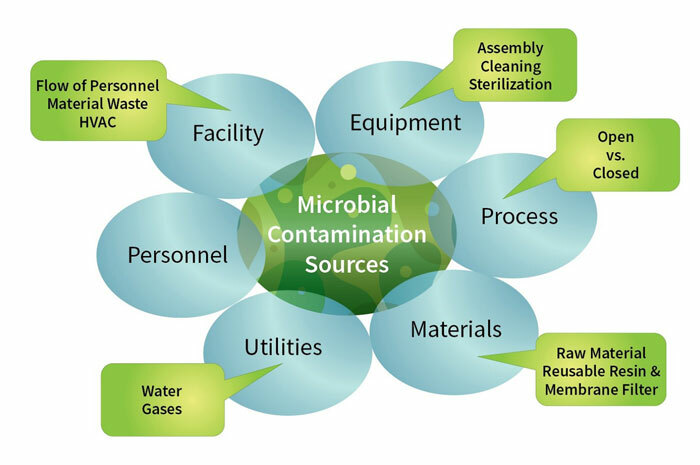 Monitoring cannot identify and quantify all microbial contaminants. Microbiological monitoring of a cleanroom is technically a semi-quantitative exercise, given the limitations in sampling equipment. Lack of precise counting methods and limited sampling volumes mean that environmental monitoring is incapable of providing quantitative information regarding sterility assurance. It is possible for production costs to decrease with an increase in microbiological quality. For example, in production, when two batches are rejected or multiple OOS are found, the investigations can total $15,000-$50,000 each. Areas of poor quality must first be identified and their cost calculated. If possible, operators should be removed from the aseptic process due to the strong impact humans have on microbiological contamination. Inspectors are indicating that the common CAPA towards non-conclusive results – “operator error means operator training/re-training” – is no longer acceptable more than once a year. Poor microbiological techniques and methods contribute to difficulty in quantifying this impact. 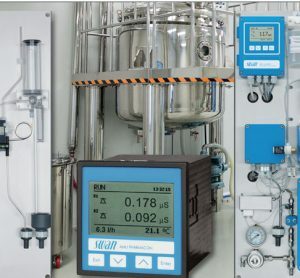 Critical areas for monitoring include process waters (deionised, RO and WFI), air and compressed gases, and surfaces including personnel, gloves and equipment. An increase in aseptic process understanding, as well as the implementation of QbD can also reduce costs for the manufacturer. Regulatory authorities are leaning towards the introduction of restricted access barrier systems (RABS) or the use of isolator systems (eg, cooling zone of a decontamination tunnel (grade A), not microbiologically monitored), which reduce costs by decreasing operator intervention. 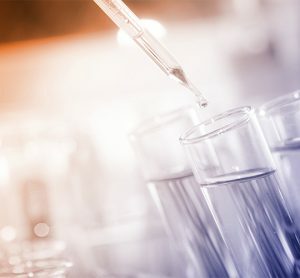 The introduction of new or alternative microbiological monitoring techniques can also cut long-term costs of traditional methods. Over the past few years, the agency has implemented the concepts of QbD into its pre-market processes. The focus of this concept is that quality should be built into a product with an understanding of the product and process by which it is developed and manufactured. Complete knowledge of the risks involved in manufacturing and how best to mitigate them is also essential. This is a successor to the ‘quality by QC’ (or ‘quality after design’) approach that companies used into the 1990s. To ensure a robust process, regulatory bodies encourage the monitoring of the complete manufacturing process. Continuous monitoring is already common practice in non-viable particle monitoring. However, particles can be viable, non-viable, viable but nonculturable (VBNC), and sometimes even all-in-one, and should be monitored in the same capacity. Risk assessments of aseptic filling lines reveal that frequent or continuous sampling is preferable. Until now, microbiological monitoring had limited capabilities to meet these requirements. For years, passive four-hour sampling was used as the sole method of monitoring. However, the plates are largely influenced by sampling errors, impossible to validate and are non-conclusive (data is acquired via gravitation, and influenced by particle size and air velocity). In addition, intervention must be taken by operators to change out the plate every so many hours, often leading to an increased amount of investigations due to false positives. The end result is an increased cost of goods, sterilisation, cleaning, stock, and incoming tests. Regulatory agencies have agreed on the concept of gravitational settling in order to attain a minimum amount of data about the whole manufacturing process. This concept is obsolete due to its related costs, and there has been a shift towards continuous air monitoring. The first alternative to passive monitoring, deemed active air monitoring, used typical sampling times of 10 minutes at 100LPM to 120 minutes at 25LPM as the standard for active monitoring devices. Air and surface samples should be taken at the locations where significant activity or product exposure occurs during production. When identifying critical sites to be sampled, consideration should be given to the points of contamination risk in a process. Air monitoring samples of critical areas should normally yield no microbiological contaminants. We recommend affording appropriate investigative attention to contamination occurrences in this environment. Any intervention or stoppage during an aseptic process can increase the risk of contamination. The design of equipment used in aseptic processing should limit the number and complexity of aseptic interventions by personnel. The FDA aseptic filling guide says: “Both personnel and material flow should be optimised to prevent unnecessary activities that could increase the potential for introducing contaminants to exposed product, container closures, or the surrounding environment.” Similar requirements to this quote can be found in other regulations, like ISO, EU GMP and USP. But how can you sample close to critical control points without adding a risk of contamination to the product and therefore to the patient? Sampling points are determined by risk analysis as the locations with the highest risk of contamination, and the use of air sampling devices can contribute significantly to particle creation in critical areas, especially those that do not use HEPA filtration. 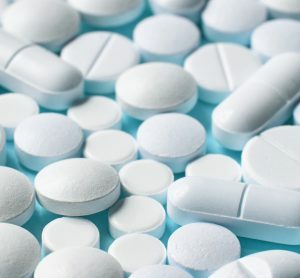 QbD is a common approach to modern pharmaceutical manufacturing. Continuous viable air monitoring at low flow rates (25LPM) is essential to understanding the risk of a manufacturing process. Single-use technologies can mitigate and remove the risk of air sampling close to critical control points, and decrease costs of cleaning, sanitisation and sterilisation of reusable equipment. 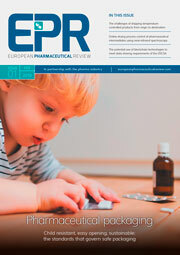 Using low-impact, conclusive sampling techniques to increase productivity results in reduced OOS/OOT, costs of investigation and regulatory interactions and argumentations. The impact of new and alternative monitoring technologies on labour costs in the laboratory and in manufacturing can be significant. GILBERTO DALMASO is the Senior Consultant and Pharma Customer Advisory Team Manager at Particle Measuring Systems. He has over 25 years’ experience in pharmaceutical microbiology and sterility assurance. His current work is focused on pharmaceutical microbiology and aseptic processes, microbiological contamination control and rapid microbiological methods, QbD, and PAT in microbiology. FRANK PANOFEN is Sterility Assurance/Microbiology Product Line Manager at Particle Measuring Systems. He has been an invited speaker at international conferences including ECA and PDA, with a strong regulatory background in pharmaceuticals. He is a certified Microbiological Laboratory Manager from ECA.